Mater Academy of International Studies, #1017 celebrated their May, 2010 Red Ribbon certification in style today as Principal Beatriz Morris addressed an auditorium full of faculty, parents, students and visiting guests. 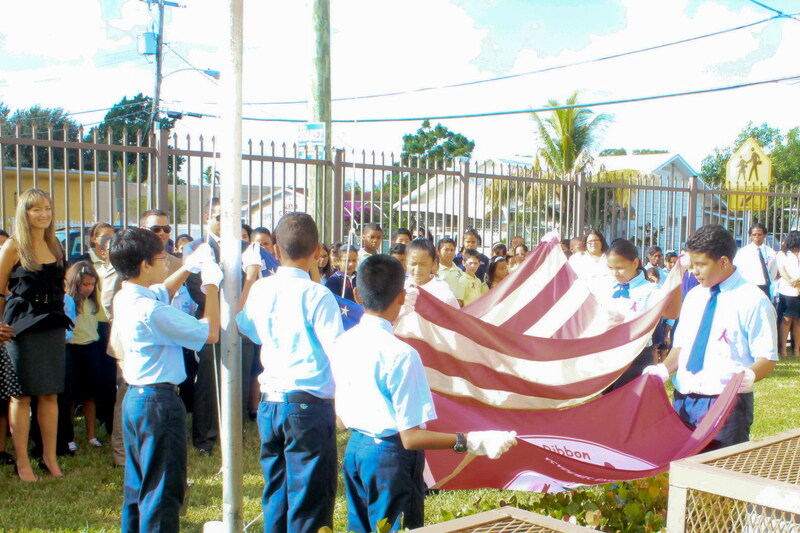 After announcing the award and explaining the significance of getting certified, 150 elementary students lined the school’s courtyard, which was deck out in Red Ribbons in recognition of National Red Ribbon week. School supporters applauded this wonderful achievement, which occurred less than one year after opening their doors in Fall, 2009. Since opening, the school has grown from just 100 students to over 400. “The Red Ribbon certification application process brought the school closer together”, said Barry Lemaitre, the third grade teacher who lead the application team. 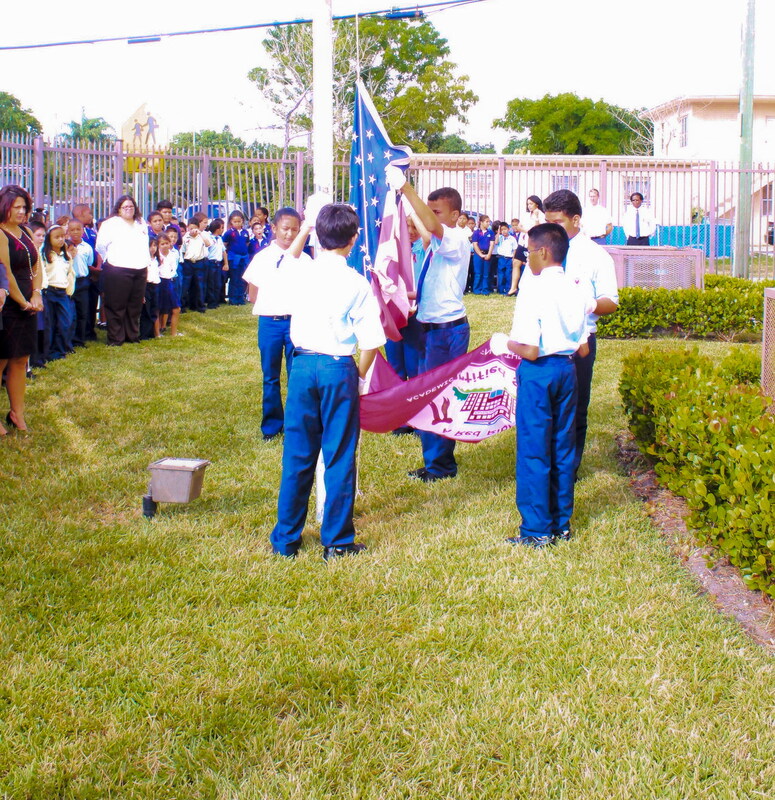 On this sunny fall day, proud parents, Academica Board members and students stood around the flag poll and saluted both the American and Red Ribbon Certified Schools flags as they were raised in pride.